Spectral Domain is an LP of two halves. 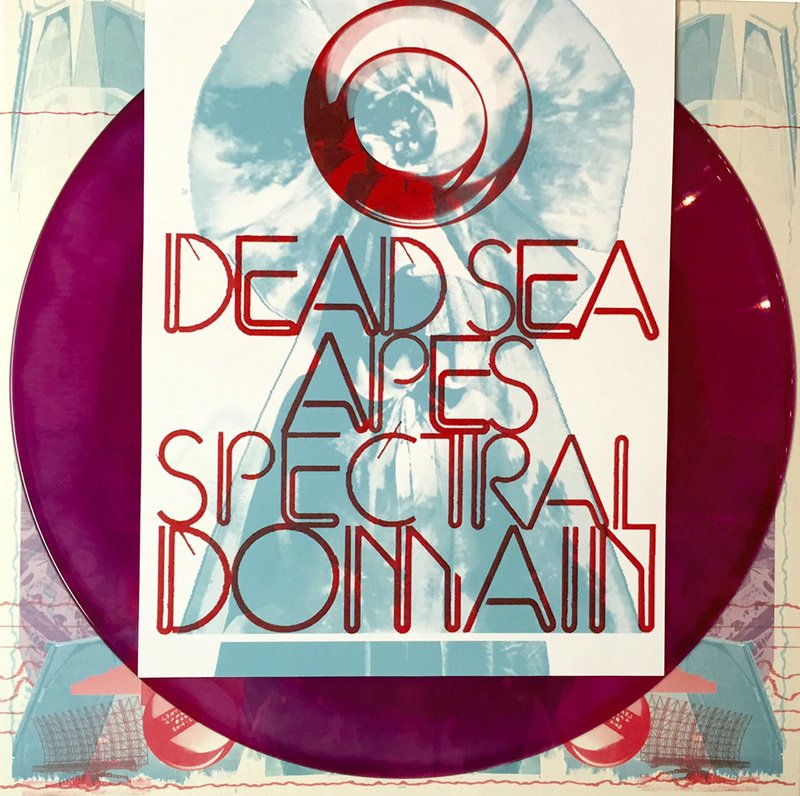 Prolific instrumental three-piece Dead Sea Apes are known for their psychedelic drift and doomed dub, and so their new, enigmatic B-side proves, the 11-minute “Sixth Side Of The Pentagon” a particularly classic-sounding serving of interdimensional echoes hung off a killer bassline. The Cardinal Fuzz house-band really come into their own, however, when they blend their trademark minimal guitar tones with more destructive basswork. Back then with another batch of hard-hitting zoners as deep as those on Lupus, the spectral Manchester band move ponderously through slo-mo chimes and rumbles on “Universal Interrogator”, building to a heavy mass that creeps up on you like an impossibly large asteroid filling your field of vision. Equally epic, and equally long, the standout “True Believers” is then an uncompromising chug that dissipates for a spidery, stargazing midsection only to return via steely-jawed battle music for a world-crushing finale. Realizing, perhaps, that previous LP, High Evolutionary, teased a little too much – its evocative, tantric repeats shy of true climax – Spectral Domain is a powerful statement. Side A is pure fireworks and fist-clenched dominance. The hard work done, the undulating tribal dub that follows simply basks in the glory.